When it comes to managing all of your content needs, there are several platforms out there available to you. It doesn't matter if you need to manage several different authors writing all sorts of content or simply need a management system to keep track of everything as a small business. There are two in particular that have become quite popular: Drupal and Joomla. How exactly do they compare to one another as content management systems and why should you choose one over the other? What is Drupal and Joomla? If you ever worked with or seen WordPress then you already have a basic understanding of Drupal and Joomla. Both of them are known as a CMS, or Content Management System. However, both are unique in that they are completely open source and used by even huge brands and websites with thousands or millions of daily unique impressions. Some of the most prominent websites to use Drupal include Stanford University, Turner Broadcasting, and even the official website for the White House while major websites like Citibank, Harvard University, and IHOP use Joomla. But, these open source CMS platforms can go further than managing your content. In fact, they can be used to completely develop a robust and responsive website that are easy to manage. The main framework for either is able to support complex e-commerce, application bridges, communication tools, and even huge business directories. So, what are the pros and cons of these content management systems? 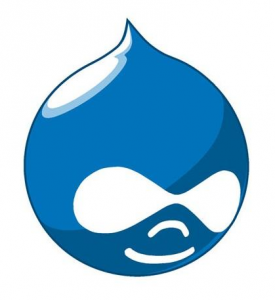 Why should I use Drupal? Drupal can easily handle even the most complex website, such as a busy e-commerce website with thousands of products that need to be sold. It is all about building from the ground up with Drupal, making it great for perfectionists or hardened developers. Drupal is scalable for about any type of business out there, no matter what they need to get done. And with such an active community surrounding Drupal, scalability becomes even easier. Are there any negatives to using it? Depending on what you're looking for, there are some things to consider beforehand about Drupal. Some users may find it hard to learn or adapt to compared to Joomla, especially if they happen to be new to content management systems. This is because Drupal requires a lot of planning and an understanding of development before actually building a project. Like mentioned before, there is a lot of initial building, organizing, and refining before everything is ready to go and you can start mass producing content. This could potentially conflict with tight deadlines, especially if you need to learn the ropes of Drupal very quickly. 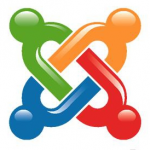 Why should I use Joomla? Joomla is as easy to pick up as WordPress while being much more customizable and built to your needs. There are countless addons, templates, and a community continuously adding new content that can be used to improve a website. Also, Joomla has been far outpacing WordPress when it comes to user adoption and usage. Very fast to get a site up and running, depending on the complexity. The main content and usability of a website can be put in place and ready to go, allowing for you to focus on the meat of the content. Joomla isn't going to be as powerful as Drupal because there isn't much planning and implementation required. This might be a problem for a website that requires a robust infrastructure that exceeds Joomla's framework and features. Though there are third party add-ons and ones specific to Joomla that can be used for practically anything, sometimes they can be very hard to find and maintain--especially compared to Drupal or even to WordPress. The popularity between the two can be explained twofold: both have a huge open source community while also providing high quality templates, addons, and frameworks. They are used by practically any website, large or small, and both are easy for both beginner website creators or experienced developers. Deciding on which one is best for you means knowing your own expertise and what exactly you need to build. A general rule of thumb is that Drupal is great for bigger, complex websites while Joomla is perfect for smaller and simpler websites. But, this could be entirely different for you and both are still very viable choices for anyone considering an open source CMS. Believes that the glass is rather half-full and that nothing is bigger than the little things. Enjoys writing, reading and sharing content – information is power.